Praise for "Wild" "The pictures speak volumes. I look forward to sharing this picture book with a wide age range of children, all of whom will enjoy the anarchic pictures and who will understand its message at a variety of levels." --"IBBY Link Journal""For my money it's the one of the most brilliant picture books of 2013." --100 Scope Notes, "School Library Journal"There was once a little gardener and his garden meant everything to him. 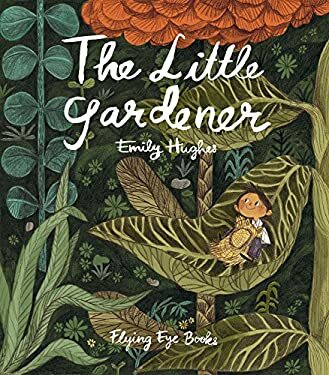 He worked hard, very hard, but he was just too little (or at least he felt he was).In this gentle, beautiful tale, Emily Hughes, the celebrated author of "Wild," departs from the larger than life Wild-girl of her debut to pursue a littler than life Gardener, in a story that teaches us just how important it is to persist and try, no matter what the odds.With delicately woven tapestries of illustrated magic, Hughes once again transports us to a world not unlike our own, while still brimming with fantasy and wonder.Emily Hughes was born in Hawaii but lives and works in the United Kingdom. She is inspired by Chinese cinema and illustrators such as Blair Lent and Gyo Fujikawa. Her work has been exhibited across the capital and her book "Nana Shaped Like a Banana" came second in the 2012 Macmillan Prize for Children's Picture Books. Her first picture book has been highly successful in bookshops and libraries across the United States and United Kingdom.